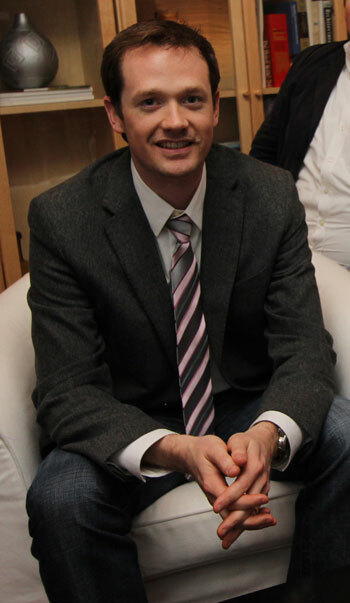 S L A N T – Christopher is a 2011 CRBJ Forty under 40 winner! Christopher is a 2011 CRBJ Forty under 40 winner! And if all that wasn't enough, we just heard that Christopher won a spot in the Charleston Regional Business Journal's "Forty under 40" class of 2011. This CRBJ distinction "recognizes 40 local business and professional leaders living and doing business in the Charleston region who are making their mark with professional and community involvement and are under 40 years of age." Cheers and congrats, Christopher! Now don't use this accolade as an excuse to phone it in for the next 9 years. We still expect big things from you. What's that? You're busy opening a Greenville office? Well then... carry on. The CRBJ made their official #FORTYU40 announcement on Friday - check out the list to see who will forever be known as the Class of 2011 alongside Christopher. Congrats to all of the winners. We're looking forward to the party!